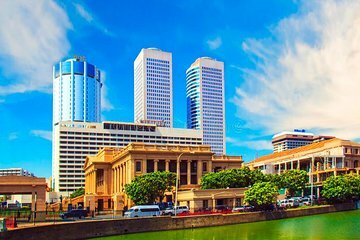 Make the most of your time in Colombo by booking a private shore excursion. You’ll travel via private transportation and skip the hassle of dealing with crowds or multiple pickups and drop-offs. Follow a comprehensive itinerary designed to show you the best of the city, asking questions and enjoying personalized attention along the way. Highlights include the National Museum, Gangarama Seema Malakaya, Beire Lake, Jamiul Alfar Mosque, and other landmarks.